AVAILABLE in UK, Aberdeen. Click Here for more information. The overall aim of this course is for candidates to acquire knowledge and practical skills to manage competently, the health & safety issues at their workplace and to international accredited levels. The course comprises of seven core modules delivered over 3 days. This assessed course will cover the application of recognised management principles in health and safety and will equip the delegate to tackle the issues in their own work place. Delegates must allocate sufficient time after the course for completing a workplace based assignment. A workplace based written assignment in English. Delegates who attend and successfully complete both the practical and written assessments, will be awarded the Managing Safety certificate issued by the Institute of Occupational Safety and Health (IOSH) in the UK. The practical assessment must be completed in the delegate's workplace and submitted within two weeks of completing the course. A minimum pass grade of 70% is required for certification. Note: Tuition is in English but candidates can request their final examination in dual language, contact us for more information. Full Time training will be delivered face to face over a 3-day period with examinations on the final day. Also available in Aberdeen, UK. 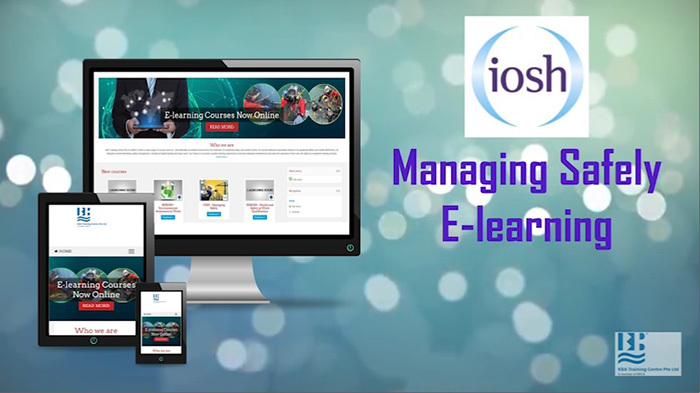 E-learning is delivered via our interactive portal over a three month period per unit (options to extend). Recommended Course Study: 24 to 36 hours to complete. Register here. It is well recognised by all parties that time can erode both knowledge and skill. To overcome this, for delegates who took the full IOSH Managing Safely course within the last three years, IOSH is now recommending that they sit a re-certification course prior to the end of their three-year period. For those who took the full course more than three years ago, IOSH recommends that they undertake the full 3-day course. Animated trainer who used real life relevant examples to inject cutlist into the text/course workbook. Great course! Knowledgeable & experienced trainer. She was able to provide first-hand accounts of the relevance of safety to our everyday lives. Safety can be very dry topic but mixing it up with videos, hands-on games, interactive trainer and well-timed breaks make the topics easy to learn. The trainer used good local examples.